The Langham Hong Kong is a 5 star luxury hotel in Hong Kong. The Langham Hotel Hong Kong has won many awards including the Conde Nast Traveler Gold List for one of the best places in the world to stay. With these types of awards, you know this hotel is indeed world class. Its European style is showcased in every inch of the building. If you’re looking for a luxurious stay, look no further than The Langham Hong Kong. Located in the popular shopping and entertainment district of Tsimshatsui, Kowloon, The Langham offers one of the most luxurious stays in Hong Kong as well as a great location. The Langham has 495 rooms and suites providing some of the most luxurious guest rooms in all of Hong Kong. There are also 270 new grand rooms available for those looking for the best stay possible. The amenities provided here are so extensive that you’ll think they thought of everything. Throughout the hotel you’ll find a front desk open 24 hours, high speed internet access, ballrooms and banquet halls, shopping inside the building, sauna, massage services, a computer and cell phone rental service, conference rooms, guest parking, valet services, currency exchange station, laundry and dry cleaning services, a health club, babysitting services and much more. Inside the rooms you’ll find the amenities are just as extensive as the ones provided throughout the hotel. They provide a flat screen TV with DVD player, on demand movies and satellite TV, complimentary newspaper and bottled water, high speed internet access, mini-bar, robes and slippers, in room safe, phones in the main room as well as the bathroom, 24 hour room service and a lot more. The Langham Club, situated on the 11th floor, is an additional perk for guests. By paying an extra fee, guests can enjoy all of the services of the Langham Club. Services include a continental breakfast, light meals, snacks and hors d’oeuvres for all other parts of the day, and cocktails. There’s a Langham Club Lounge where guests can enjoy some drinks and free internet access. There’s a Mediterranean style swimming pool on the rooftop of the Langham, giving a very beautiful view of Hong Kong. 5 diverse restaurants are located inside The Langham Hong Kong. The T’ang Court offers award winning Cantonese cuisine. Dine at L’Eclipse where you can try all different kinds of western and asian style dishes. Try the Boston style steak and seafood at The Bostonian. If you’re looking for a smaller meal, try the Main Street Deli or the Palm Court. The Palm Court has all different kinds of snacks and drinks. You can even have traditional English afternoon tea while listening to some live music. 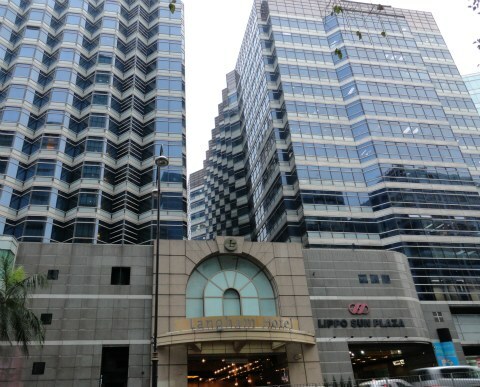 The closest MTR station to The Langham Hotel Hong Kong is the Tsimshatsui station. It’s a 5 minute walk to the station from the hotel. Nearby attractions include the Star Ferry, Victoria Harbor, A Symphony of Lights, and the Avenue of the Stars. The world class Langham Hong Kong is the perfect hotel for anyone looking for an outstanding, luxurious experience. Even if you don’t end up staying here, it would be worth your time to walk through The Langham and experience it for yourself.